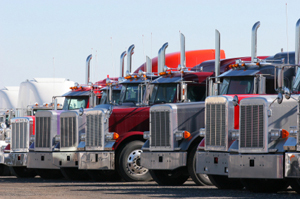 With over 80 years in the business, we understand that getting product from A to B can be a hassle – especially when another transportation company has to be involved – which is why we have an in-house, dedicated trucking fleet of both box trucks and tractor trailers serving our Atlanta and Savannah customers. Our drivers have a minimum of 10 years’ experience behind the wheel and all the credentials needed for rail yard container pickups, port TWIC cards, and Haz-mat transportation licenses. Our ability to handle both the distribution and transportation in house cuts out costs and simplifies the process for our clients. In Savannah, our truck fleet drays around 150 containers a month from the Port of Savannah which includes referred transportation. With our logistics discounts we are also happy to arrange transportation for you to any US location.